Valerie is passionate about helping women find their strength. Val’s training has evolved since she began her Personal Training career in 2002. She worked in Health Promotion, completed a number of Physical Therapy internships, and was certified through many different organizations. She found her home in the RKC and then StrongFirst, an organization founded by Pavel Tsatsouline.  StrongFirst is filled with the greatest teachers and coaches of Strength and Fitness. In 2011, Valerie was one of first women in the world to successfully complete the Iron Maiden Challenge and in 2013, she was promoted to Team Leader with StrongFirst. That title allows her to teach kettlebell certifications around the world. She also maintains the CSCS (Certified Strength & Conditioning Specialist) from the NSCA (National Strength & Conditioning Association). Val has a passion for fitness and helping people stay active. These days, while sometimes still racing and competing, her fitness goals consist of being as fit and healthy as her body will allow and helping each student reach his or her individual potential. is training women whose bodies have changed and feel that with every passing year, they have less time and energy to do what they need to do to keep themselves strong and healthy .“I understand the fitness and health needs of women in general, but I also know that every person is unique. I have learned to listen to each student’s specific needs to make sure the program is personalized for her body type and goals.” Understanding that women today are busy with families as well as careers, Val helps them find the time to focus on themselves and use that time more wisely so they can finally see results without exercise and diet consuming their lives.